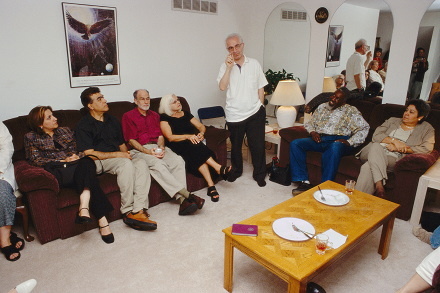 Dr. Claude Jacobs founded the Pluralism Project at the University of Michigan-Dearborn, a study of religious diversity in southeastern Michigan. It grows out of the University’s affiliation with the Harvard University Pluralism Project which began in May 1999. 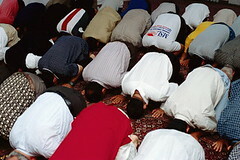 The people of the City of Detroit and its suburbs in Wayne, Oakland, and Macomb counties constitute one of the largest and most important centers of population in the United States. Much of this population has had a long association with the automotive industry and labor unions which have shaped the area’s culture, social life, ethnic composition, politics, and economy. While these factors have significantly influenced the religious landscape of the region, the growing diversity of religious traditions has, in turn, helped to mold Detroit. The Pluralism Project at the University of Michigan-Dearborn is documenting how these factors have influenced and created one of the most dynamic religious landscapes in the United States today. Read more at Pluralism Project at University of Michigan-Dearborn website. 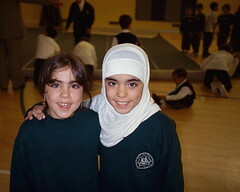 One of the academic aims of the Pluralism Project is to give scholars and students the opportunity to become engaged with religious communities in their own region and to integrate this experience into classrooms, research, and writing. 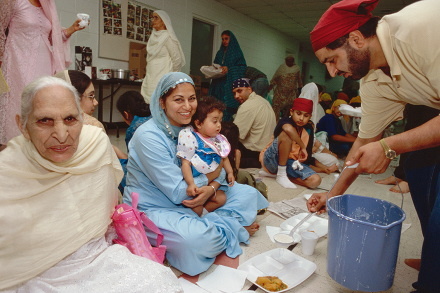 The Pluralism Project at the University of Michigan-Dearborn is an ongoing research program involving students and faculty from anthropology and sociology in the Department of Behavioral Sciences. Anthropology, the comparative study of humanity and culture, seeks to explain both the diversity and similarity in human behavior around the world. Sociology has grown in scope as society has become more complex and pluralistic, focusing on the way society is organized and the individual’s relationship to it. 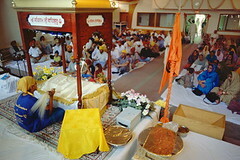 The study of religion as an aspect of culture or as a social institution is of fundamental importance in both disciplines. Over 150 students enrolled in Anthropology 440 (Religion and Culture), Sociology 455 (Sociology of Religion), or Independent Study, have participated in the research of the Pluralism Project as a part of their course requirements. 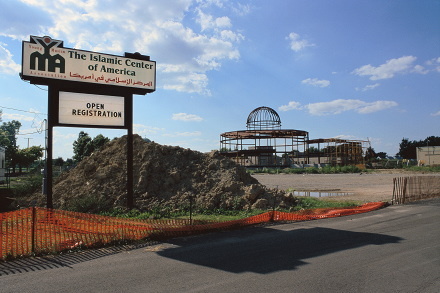 Using guidelines established by the Pluralism Project, research at the University of Michigan-Dearborn has produced a directory of nearly 200 religious centers that continues to grow in number. Students, working independently or in pairs, are assigned to one of these centers and are required to make a minimum of three visits during the term. Research guidelines help students to understand the religion (beliefs, rituals, symbols), to collect information on the history of the religion and the religious center in Metropolitan Detroit, and to record the experiences of the people. 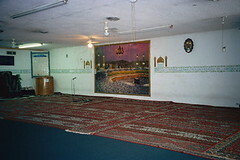 Two sample research guidelines follow: guidelines for a general study of a religious center; and guidelines for the study of a particular event at a religious center. In some centers, the research has been for only one term; at others it has continued over several terms. The decision to reassign students to centers is based on the thoroughness of previous research, student interest, site location, and the small number of centers within some religious traditions. After students enrolled in Anthropology 440 or Sociology 455 have submitted their reports, student assistants, independent study students, and faculty abstract information from the research to develop the center profiles. This is an ongoing process, through which the profiles are expanded, corrected, and refined as the centers are revisited. 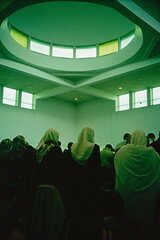 While religious centers will continue to be a major focus of the Pluralism Project at the University of Michigan-Dearborn, further research will include data collection related to religion and local institutions (schools, politics, hospitals, the media), interfaith relations, art and music, and life histories of religious center leaders and members. In addition to having an opportunity to study religion directly by doing research in religious centers, participation in the Pluralism Project at the University of Michigan-Dearborn has enhanced students’ education in other ways. 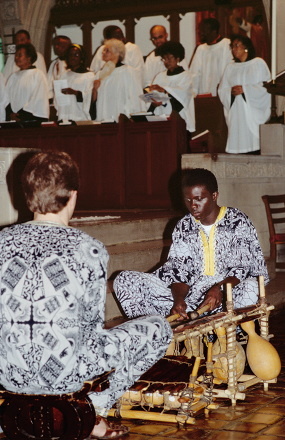 In 1999, two students took part in the Pluralism Project’s Symposium on Civil Society and Multireligious America at Harvard University. In conjunction with the symposium, they also attended the annual meeting of the American Academy of Religion in Boston. In 2000, a student presented a paper based on Pluralism Project research at Meeting of the Minds, an annual conference of undergraduate students from the University of Michigan-Dearborn, University of Michigan-Flint, and Oakland University. 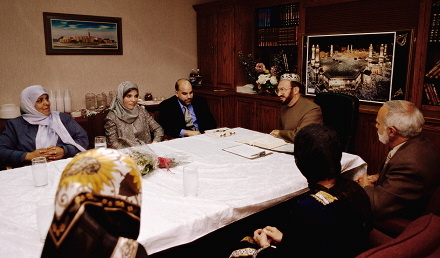 In 2001, through the efforts of the Pluralism Project and with support from the College of Arts, Sciences, and Letters, the Detroit annual Muslim, Christian, and Jewish Leadership Symposium sponsored by the National Conference for Community and Justice was held on the University of Michigan-Dearborn campus. The topic, “Restoring the Garden of Eden: Religion and Local Environmental Stewardship,” brought together religious leaders, environmentalists, students, and faculty. Finally, the research program of the Pluralism Project at the University of Michigan-Dearborn has become the focus of the University’s newly established Center for the Study of Religion and Society. The Center is designed to strengthen the religious studies minor by bringing together faculty who teach courses and conduct research on religion, organizing faculty colloquia, and sponsoring lectures and special events on campus. “World Religions in Metropolitan Detroit” is an exhibition of 55 framed photographs (22″ x 28″), along with 10 accompanying text panels and a map, presenting the ongoing research of the Pluralism Project at the University of Michigan-Dearborn. 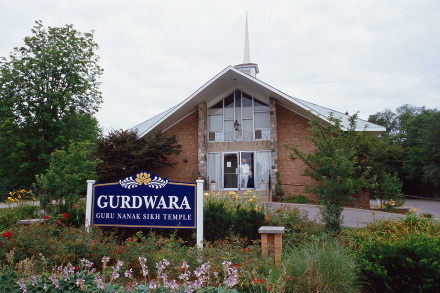 The exhibition shows the diversity of Metropolitan Detroit’s religious landscape: Islamic mosques, Native American spirituality, Baha’i gathering places, Mandaean mandi, Sikh gurdwaras, Jewish synagogues, Christian churches, and Hindu, Jain, and Buddhist temples. The text panels provide brief histories and descriptions of the religions, and a metropolitan area map (approximately 4′ x 4′) shows where the religious centers are located. Much of this changing religious landscape can be traced to new patterns of immigration beginning in 1965. Many native-born Americans, however, are also long-time members of these faith communities or recent converts. “World Religions in Metropolitan Detroit” is designed for a general audience. 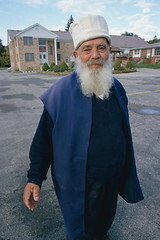 The photographs and text are intended to encourage dialogue and foster a greater sense of community among the residents of southeastern Michigan. 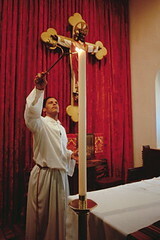 This includes members of the varied faith and ethnic groups, as well as native-born Americans who, influenced by the greater religious diversity created by new patterns of immigration in the post-1965 era, are exploring religious alternatives to traditional Christianity and Judaism. 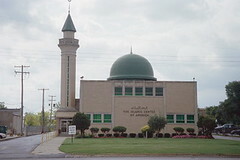 By creating a locus for information, dialogue and the creative exchange of ideas, “World Religions in Metropolitan Detroit” is designed to increase awareness of the role of religion in American life, the history and extent of religious diversity in Metropolitan Detroit, and the importance of the concept of pluralism in understanding our nation’s past and especially planning for its future. As a part of its research activities, the Pluralism Project at the University of Michigan-Dearborn has entered into collaboration with the University of Michigan-Dearborn Mardigian Library’s Metropolitan Detroit Digital Music Archive. 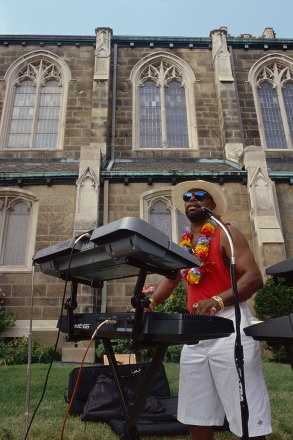 The Archive seeks to capture music that reflects the racial, ethnic, religious and cultural diversity of the Metropolitan Detroit area for the purpose of future scholarly use. The purpose of this program is to create an archive of the music that is performed by the people of Metropolitan Detroit. The goal is to provide a reliable, permanent documentary record of this music, the individuals and groups that perform it and the context in which it is performed. It is expected that this archive will become a valuable primary resource for use by scholars, including anthropologists, musicologists and historians and that it will be a useful resource for instruction in the importance of music as a means of cultural expression. Claude F. Jacobs, Ph.D. is Associate Professor in the Department of Behavioral Sciences at the University of Michigan-Dearborn, where he teaches anthropology. 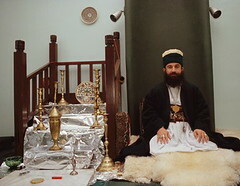 In addition, he is Director of the University’s Center for the Study of Religion and Society. He is a member of the American Anthropological Association, the Society for the Anthropology of Religion, the Association of Black Anthropologists, the American Academy of Religion, the Latin American Studies Association, and serves on the Metropolitan Detroit Planning Committee for the Muslim, Christian, Jewish Leadership Symposium sponsored by the National Conference for Community and Justice. His publications include articles on African American religion, contributions to reference works on African American history and culture, and co-authorship of The Spiritual Churches of New Orleans: Origins, Beliefs, and Rituals of an African American Religion. He is the Director of the Pluralism Project at the University of Michigan-Dearborn. William McNeece, M.A. is Adjunct Lecturer in the Department of Behavioral Sciences at the University of Michigan-Dearborn, where he teaches sociology. He has written and lectured on contemporary religious movements in the United States, and has conducted ethnographic research as a part of the U.S. Department of Labor Youthwork Project. He has been the treasurer of the Michigan Sociological Association and was on the editorial board of the Michigan Sociological Review. His photography has been exhibited nationally and he has been the photographer for the Detroit Council of the Arts and the Detroit Recreation Department Summer Youth Art/Work Program. 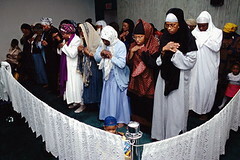 His work includes printing Charles McGee’s photographs for the exhibition “Seeing Seventy” at the Detroit Institute of Arts. He is the Director of Photography for the Pluralism project at the University of Michigan-Dearborn. Hashim Al-Tawil, Ph.D. is Adjunct Lecturer at the University of Michigan-Dearborn, Henry Ford Community College, and Oakland Community College, where he teaches courses in art and art history. He is also the Cultural Coordinator for the Arab American and Chaldean Council of Metropolitan Detroit. An artist with an international reputation, his works have been exhibited widely in major museums and galleries in the Middle East, Europe, and the United States. His scholarly research focuses on cultural and religious identity in art. He is a member of the Advisory Committee for the Center for Arab American Studies at the University of Michigan-Dearborn, the International Art Association Bureau, the Farmington Hills Multicultural Multiracial Committee, and has served on the Board of Directors of the Greater West Bloomfield Art Council. 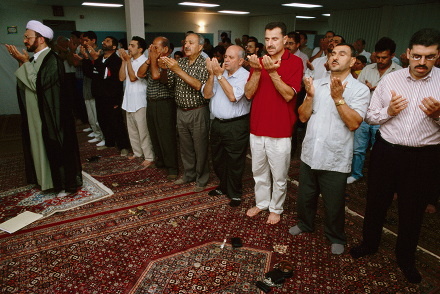 In addition, he has lectured widely in southeastern Michigan and nationally on Islam and art of the Middle East. He is Associate Director of the Pluralism Project at the University of Michigan-Dearborn. Paula Drewek, Ph.D. is Professor at Macomb Community College in Warren, Michigan, where she teaches courses in humanities on arts, ideas, and comparative religion. Her research reflects an interest in cross-cultural and interdisciplinary issues including: women in Islam, the myth of Adam and Eve, women’s development in India; new religions of Japan; sociology of religion in twentieth century China; and faith development. She has written explanatory text and a study guide for a series of 12 world religion posters for Teachers Discovery, a source of supplementary materials for secondary teachers. 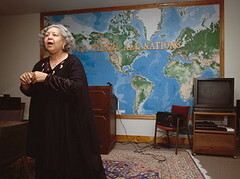 She has served as a Board member for the Institute of Healing of Racism in Southeast Michigan, and currently contributes to the National Conference for Community and Justice, the Midwest Board for the Association of Baha’i Studies, and the Baha’i Central States Committee for Gender Equality. She is Associate Director for Interfaith Relations of the Pluralism Project at the University of Michigan-Dearborn.